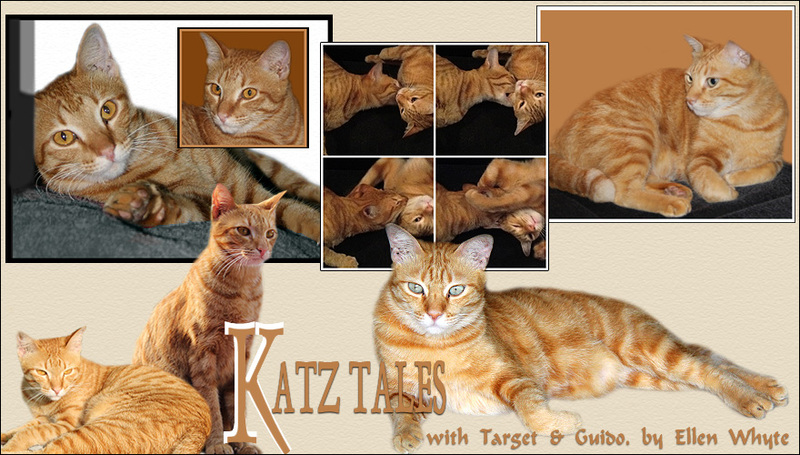 Katz And Other Tales: What Lies Behind A Purr? Katz Tales is out in the print edition of The Star today. It's all about purring, an activity Scoop and Au excel at. Tradition has it cats purr when they’re happy, but cats also purr when upset or confused. Scoop and Au purr when they're happy but also when they have to go to the vet, or after they've had an upset - like a confrontation with a dog. I think purrs are the equivalent of cat's tears: some for joy and some for sadness. What do you think? I vote yes, you are probably right. I didnt know cat purrs when they are upset. I just know the Spice Cats made a lot of complaining 'MEOW' when they are in the shower.